TeslaThemes are flexible, responsive and easy to use. Whether you want to build simple portfolio page or an online store, WordPress is a great option. 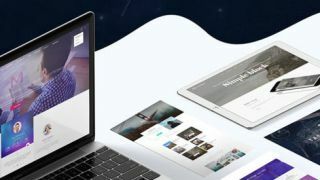 Give your site the exact look and functionality it needs with professionally crafted WordPress themes from TeslaThemes. Get lifetime access for just $39 (approx. £30). TeslaThemes is well known for its high quality WordPress themes. These expert designers have crafted more than 60 incredible themes and are always adding new options. You'll be able to make use of any of these themes anytime you want with lifetime access. You'll even get full HTML documentation, step-by-step instructions, plugins, and customisable PDF themes to make them work exactly how you need. If you want a lifetime’s worth of the expert craftsmanship of TeslaThemes, you can get it now for 84% off. That means you pay just $39 (approx. £30). It's a great price for a must-have resource for any web designer, so grab it today!